In 2017, Italian/Hungarian industrial designer Andrea Ruggiero was invited to experiment in Offecct Lab in order to find a way of turning waste material into a high performing commercial product. Achieving zero waste with 100% design. Making a commercial product with left over materials, is easy to say but hard to do. But after deep discussions and elaborate workshops with Andrea Ruggiero, a design and a method was developed that not only ensured a sustainable product, but also a product that could add something new and relevant to the acoustic segment. Soundsticks consists of textile scraps from upholstery production which have been moulded into the shape of a tube that is held together in the ends by recycled aluminum caps. These textile “sticks” hang from rails in linear or radial shapes that can be combined depending on need and space. “This project evolved through many discussions and various attempts at exploring new ways of addressing acoustics in todays environments. 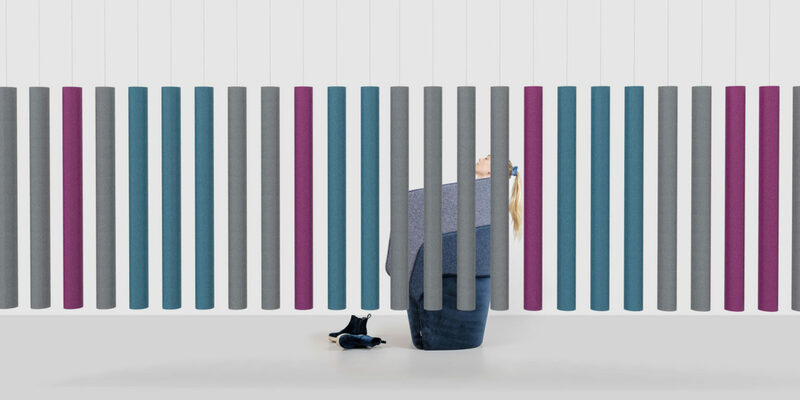 Soundsticks is an innovative room dividing concept that helps reduce ambient noise in public spaces or open plan workspaces”, says Andrea Ruggiero. 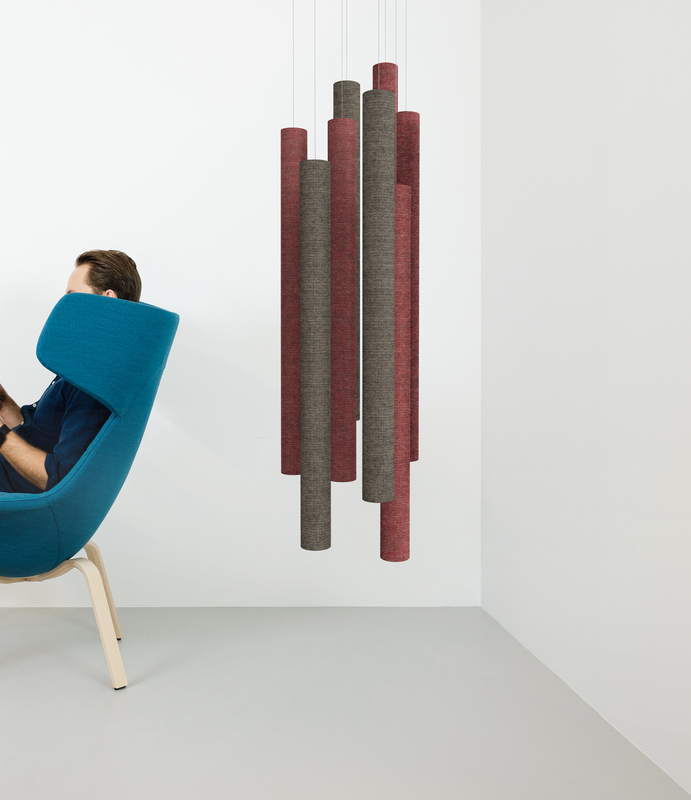 To ensure the availability of qualitative fabrics to Soundsticks, Offecct collaborate with Flokk’s other production units on the availability of materials. The availability of fabric leftovers decides the colors, the structure and the volumes. The upholstery is fabric leftovers from Offecct and Flokk’s furniture production and is assembled with a zipper. The fabric leftovers are sorted in four colors; grey, blue, green and red. This means that you only can chose color scale and not determine exact colors. 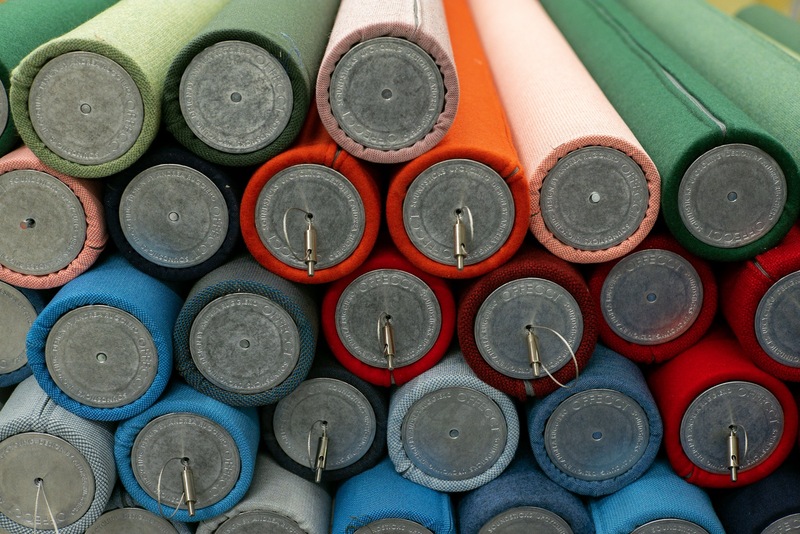 Everything depends on the availability in our stock of fabric leftovers. 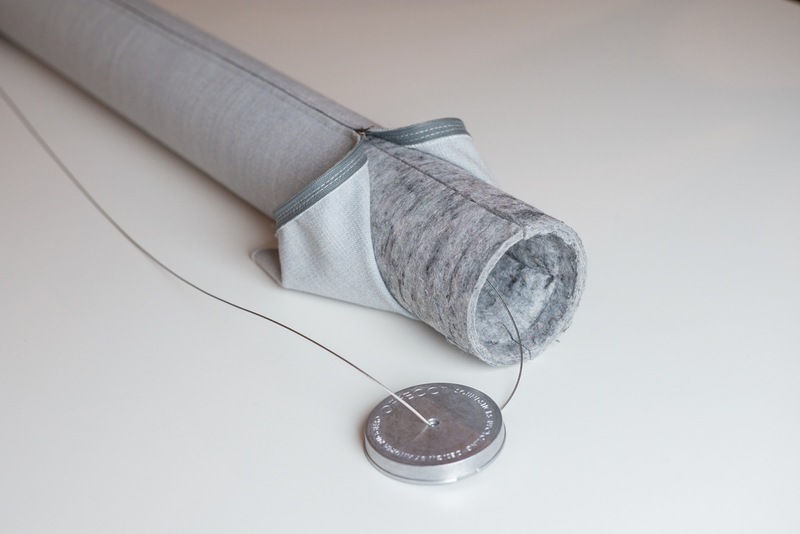 Soundsticks contains of a sound-absorbing material made of recycled textile and PET. The product is completely without glue. The bottom and top have plates of recycled aluminium. Soundsticks sells in a package which includes eight sticks. By combining several Soundsticks together – preferably on a curved or straight rail or as a cluster, you can create unique forms. See our suggestions below. Soundsticks is acoustic tested with approved results. Eight Soundsticks is equal to six Soundwave® Scrunch acoustic panels. Read more about our collection Air & Sound.